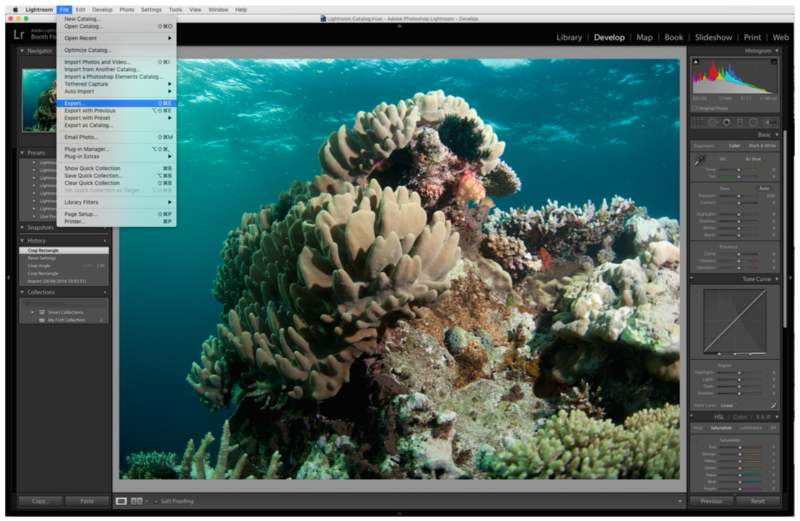 A step by step guide on cropping, resizing and exporting a Jpeg or Tif file in Adobe Lightroom for print. 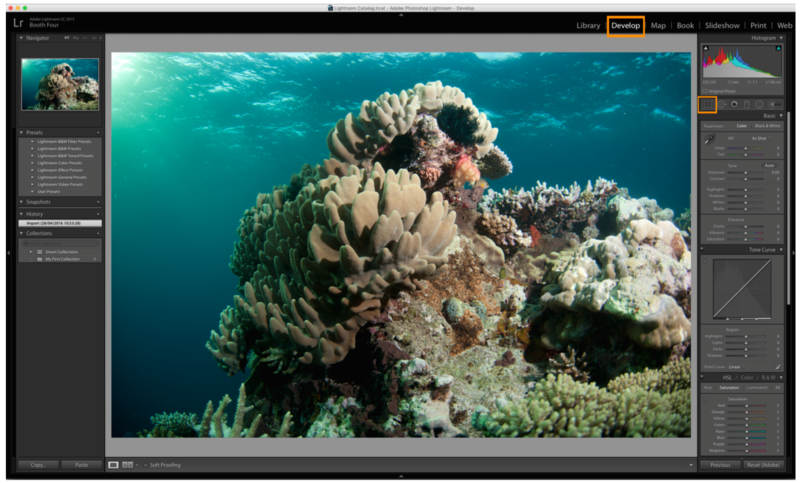 This two part guide explains how to crop and resize your images within Adobe Lightroom if you require specific sizes for your artwork. 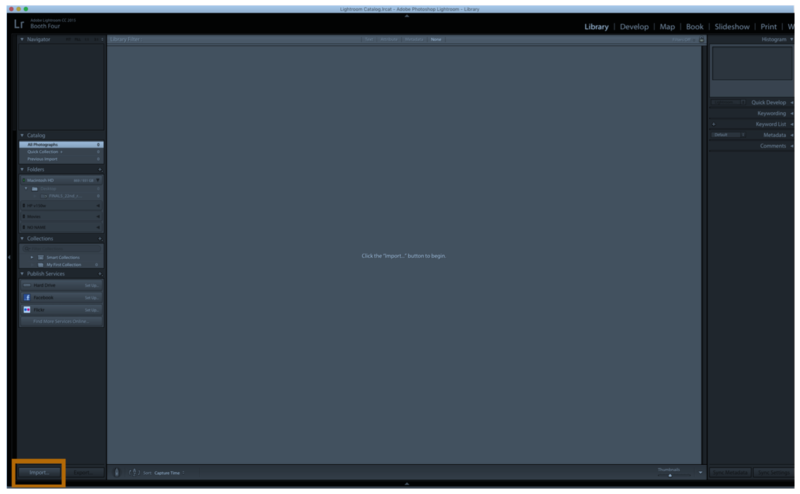 If you need a specific size print theprintspace recommends cropping your file in Adobe Lightroom prior to resizing and follow parts 1 & 2 of this tutorial. If however your image file is in the correct proportions / aspect ratio you can just export a new file at the desired dimensions and just follow part 2 of the tutorial. Click on Original next to the pad lock icon and select Enter Custom at the bottom of the drop down list. Now enter the aspect ratio or proportions of your required print size and select ok. In this example we are cropping for a print size of 16 x 12 inches. 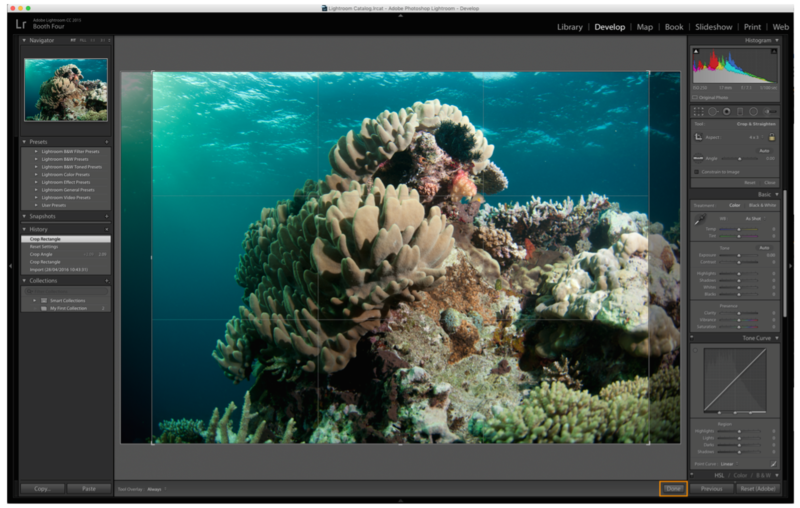 Move the crop size and location to crop your file as required using the grid. Greyed-out areas will be removed during cropping. 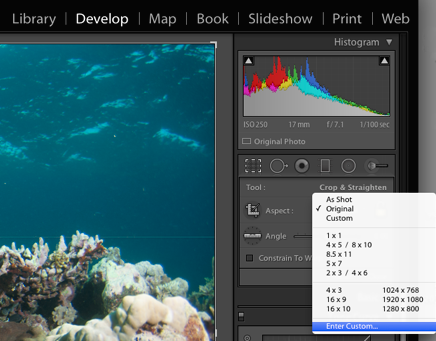 Select Done to crop your image and now your file is in the correct proportions. Once you are happy with your crop you just need to export your file at the correct physical size for printing. In File naming select Rename to and use Custom name and in the Custom Text field add your desired name for the file. 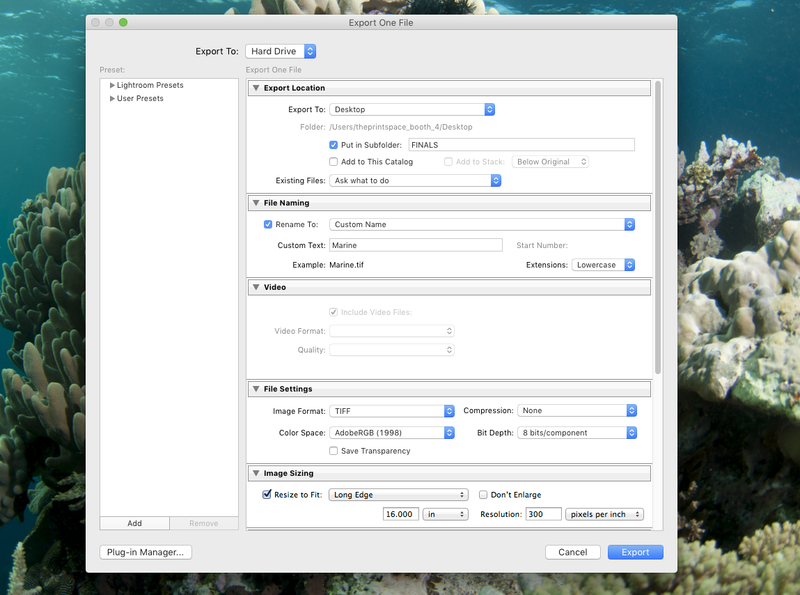 Note -There are also options to export as JPEG just make sure you use the highest quality setting 100 for best results in print with minimal quality loss. Now you can set the required image size in cm’s or inches for you print. Now enter the long edge dimension and select units as inches (in) and choose a resolution of 300 pixels per inch. 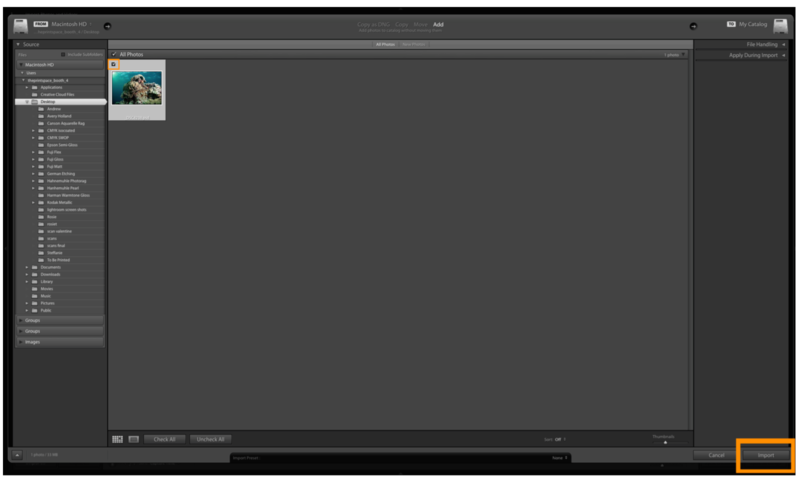 Now click the Export button and your image is ready to for print. If you would like to speak to one of our team members about cropping and resizing your images, then please get in touch today.